The East Asian summer monsoon and desertification in Eurasia is driven by fluctuating Northern Hemisphere ice volume and global sea level during the Ice Age, as shown in a study published in Nature Communications. Today, two thirds of the world's population is dependent on agriculture sustained by rains of the East Asian summer monsoon, and future climate change in this region can therefore have a major impact on global food production. Huge areas of central China is covered by a plateau consisting of a fine grained soil type called loess – a sediment deposited here by winds during the Ice Age. The soils formed on loess are very fertile and have been one of the key factors driving cultural development and population growth in China for thousands of years. 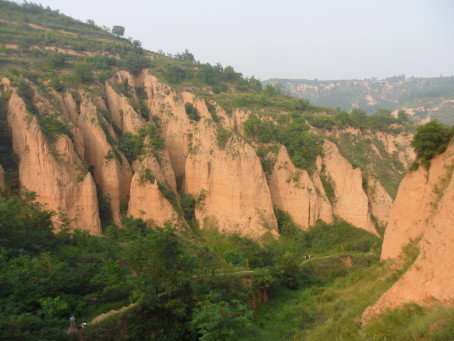 Additionally, the loess plateau also contains a geological archive that can be used to decipher past climate changes. Through detailed examination of the loess sediments, a group led by researchers at Uppsala University together with colleagues from Denmark has identified how changes in climatological phenomena such as ice volume and sea level also affected the extent of deserts in China, as well as the behavior of the East Asian summer monsoon. "We have conducted the most detailed dating of the loess to date, which has enabled us to identify changes in the monsoon and desertification processes in more detail and with much greater accuracy than previously possible. We can now compare these changes to other known climate changes such as variation in ice volume, sea level and even the Earth's orbit during the Ice Age", says Dr. Thomas Stevens, first author and researcher at Uppsala University. "We can now show that when ice volume decreased and sea level rose, the summer monsoon rainfalls in East Asia intensified and spread further inland, while sandy deserts in China retreated", says Dr. Stevens. With today's shrinking ice caps and rising sea levels, this has implications for how the Eurasian continent will once again experience changes in the summer monsoon rainfall and desertification.